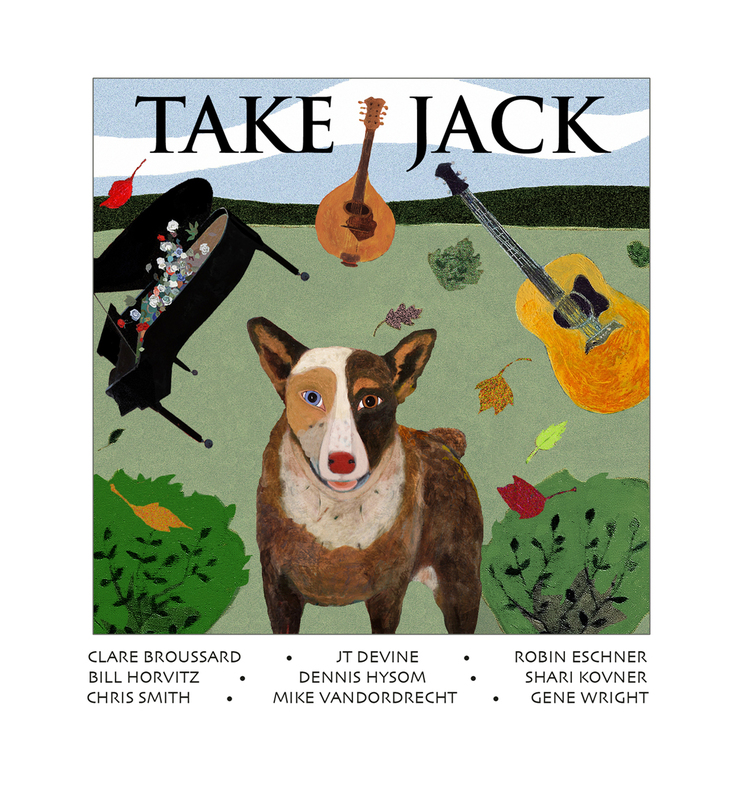 Take Jack includes Clare Broussard, JT Devine, Robin Eschner, Bill Horvitz, Dennis Hysom, Shari Kovner, Chris Smith, Mike VanDordrecht and Gene Wright. I really enjoy your music: your voices and repertoire. Do you ever entertain the thought of adding a new member? I am a 59 year-old Sonoma County woman who loves to sing and has been looking for a small group or single person to sing with. Maybe you would have some recommendations? Any chance of meeting up sometime in the coming months to discuss (sing) together?